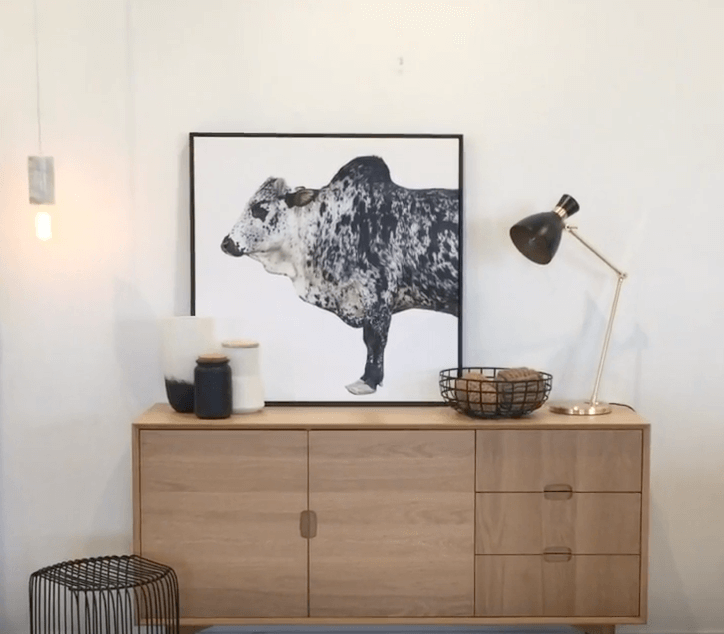 Designer James Treble shows us how to style a sideboard in 3 different ways! 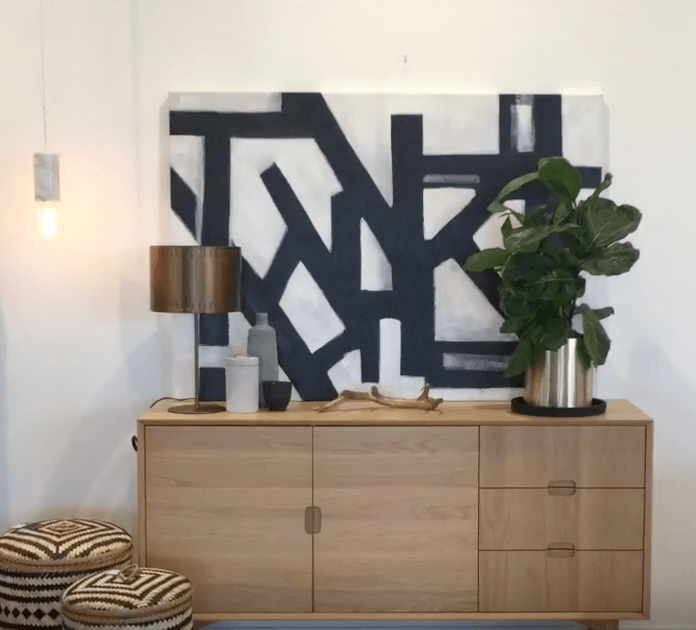 Watch the interior designer extraordinaire work his magic on a simple Scandi-inspired sideboard unit. 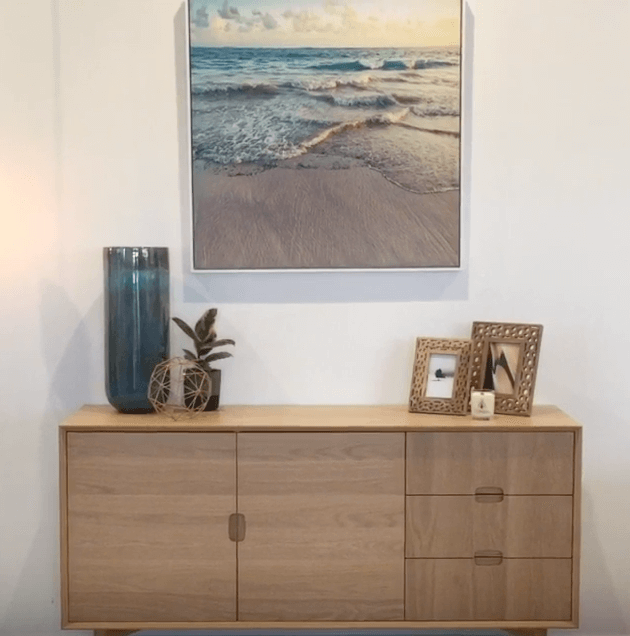 Using a neutral base furniture piece, James transforms the look and feel with a strong statement artwork and gorgeous accessories from our Melbourne showroom. Practical furniture doesn’t have to be boring! Which look is your favourite? The first look is inspired by holiday houses and warm family memories. 1. Start with a stunning canvas print featuring beach-scapes in soft, gentle colours. James’ Tip: remember the rule of thirds! Each item is grouped in 3’s and there are staggered height differences in each object to keep things visually interesting. 2. Softly Striking The second look is inspired by a striking print with luxe accessories. 1. Start with an unexpected, eye catching print as your centre piece. James’ Tip: don’t forget to think outside the vignette – add a wire stool next to your sideboard and extend the look beyond the table top. 3. Tribal Revival The last look is inspired by statement art with a raw, tribal-luxe aesthetic. 1. Start with a large statement artwork that becomes the foundation of your vignette. 2. A copper metallic lamp is practical and on-theme. 4. Freshen up the look with a large potted plant. Rubber plants are a great option. 5. Extend your vignette by adding a few tribal-inspired baskets for practicality. 6. An interesting decor item such as a golden branch is a unique & quirky accessory that perfectly encapsulates our raw, tribal look with a ‘glam’ element. James’ Tip: don’t be afraid of size and scale – don’t just choose small accessories – play with different options to create layers and textures in your vignette. Shop art & decor online.